Located at Wonosobo disrict about 7 km from Kota Agung. 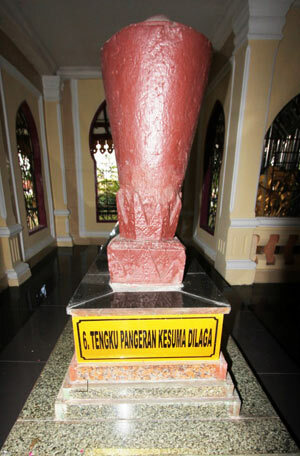 This grave was graves of Prince Jiwa Kesuma’s family who live at transition Hindu-Islam period. This grave marked by primary ornaments or texture of Hindu. Also found Ikhawan grave (single boys and girl) grave as sacrificed for worship in belief Hindu in the past.